Sometimes I come across a piece that is so special, I wonder if it will be a once in a lifetime opportunity. About a year ago, I was shopping at one of my favorite spots, and there was an amazing lot of furniture that had come in. I won't gross you out with all the yuckiness I had to deal with just to get it "clean" enough to load up, but I knew this was a rare find. The gorgeous shell handle pulls were what had me. This was in the worst condition of any furniture piece I've ever brought home. The drawers were all wonky and falling apart, but everything else was decent, so I took a chance. As soon as I got it home, I stood back and admired it. 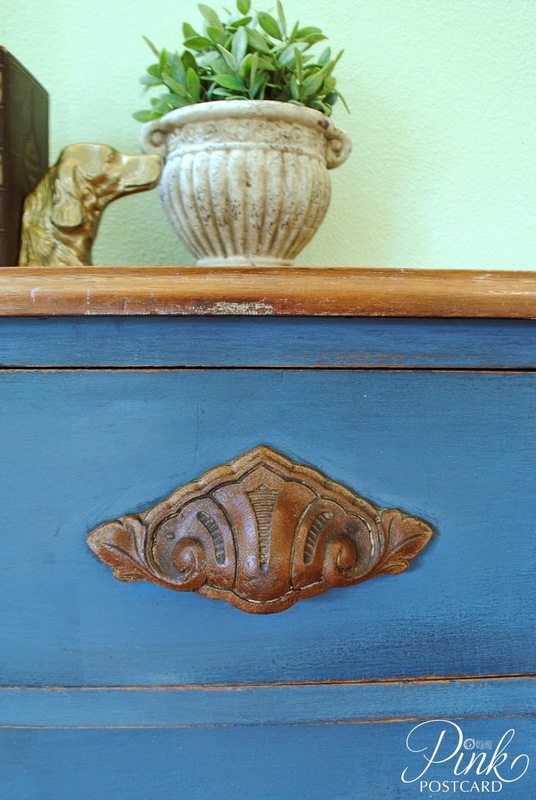 Miss Mustard Seed had recently introduced Artissimo in her paint line, and I knew that was what I would be painting this dresser in. So then it sat in my garage. 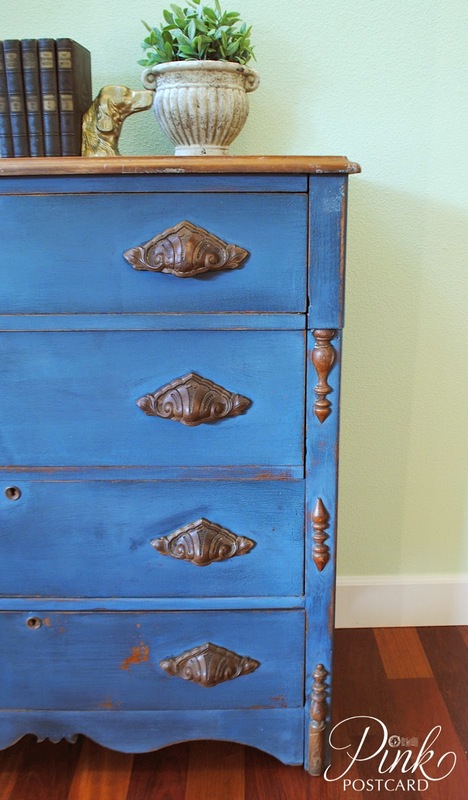 I decided I really needed to get the drawers fixed so that I could get this dresser back into it's full glory. I usually go to my dad for any construction / fix it help, but he has been on a creative explosion recently, and I didn't want to interrupt his flow by handing off this extensive of a fix. 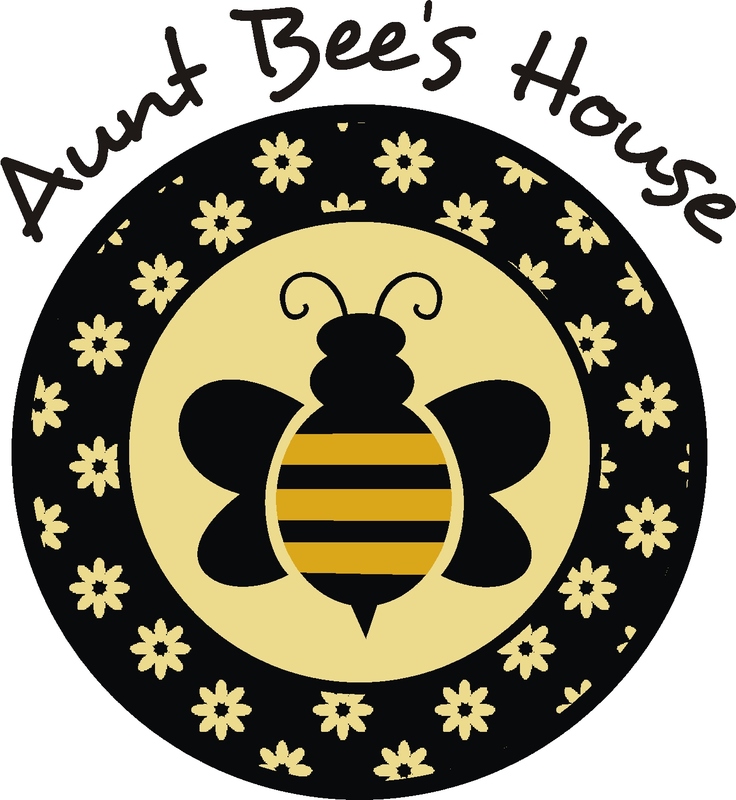 I found a local furniture restoration company and made an appointment to bring it in. The guy was instantly enamored- but not with my initial paint job. The drawers and slides all got repaired, and when I went to pick it up, the cost was significantly less than his estimate. He really, really liked it, and wanted to restore it. I thanked him and told him if I ever found one again, he would be the first to know. There's just so much to love about this piece. Did I mention the handles? Let's admire them once more. I used clear wax on the body of the dresser, and hemp oil on the handles and top. You can see how much lighter the wood was before. 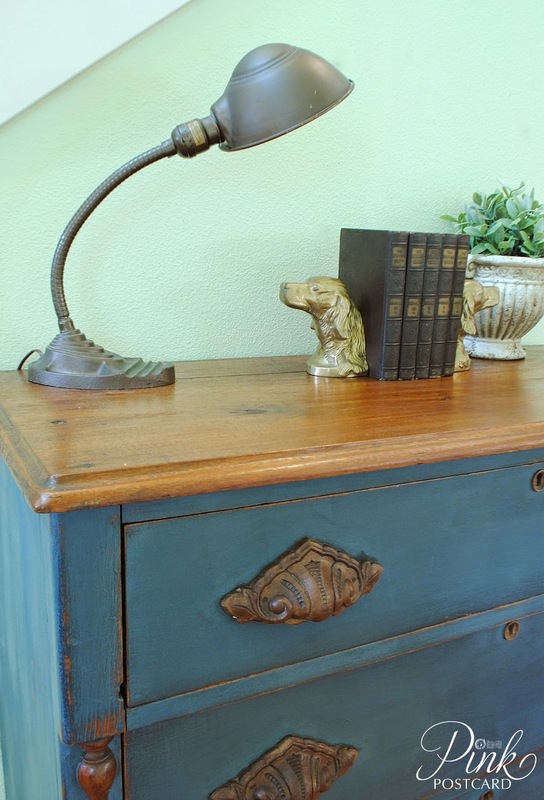 I love all the character behind this dresser. 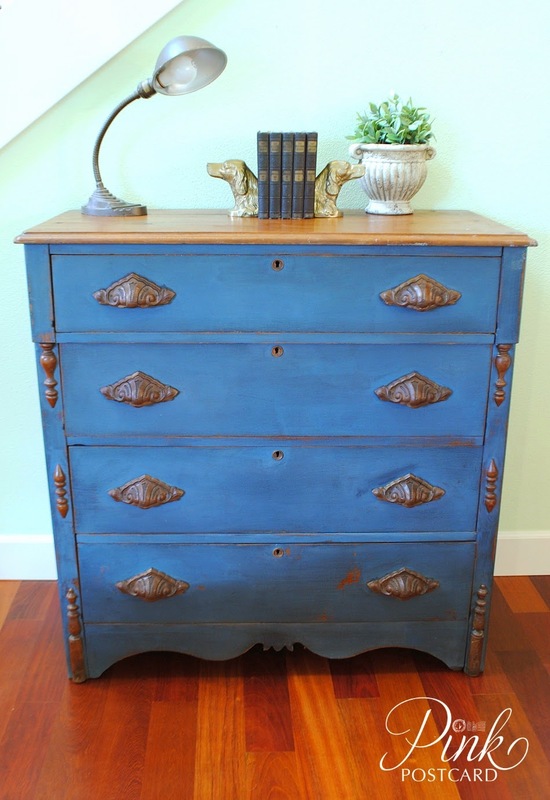 The top is gorgeous- it has repairs and a long history of being fixed and re-loved, and I hope that will continue. The vintage gooseneck lamp is also a recent find- it will be available at The Farmhouse Show! The brass dog bookends are mine though. I just love them, and I've used them in several photo shoots. 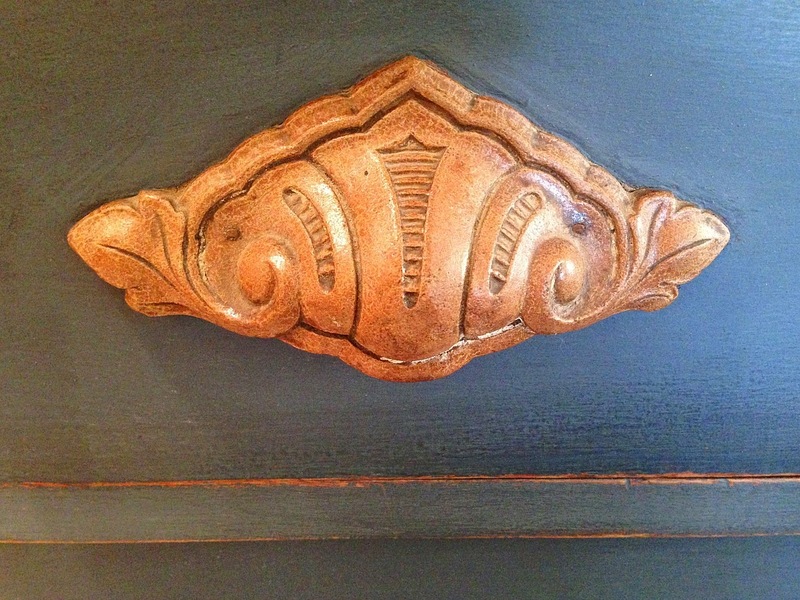 This dresser also has a secret bit of history still attached to it. 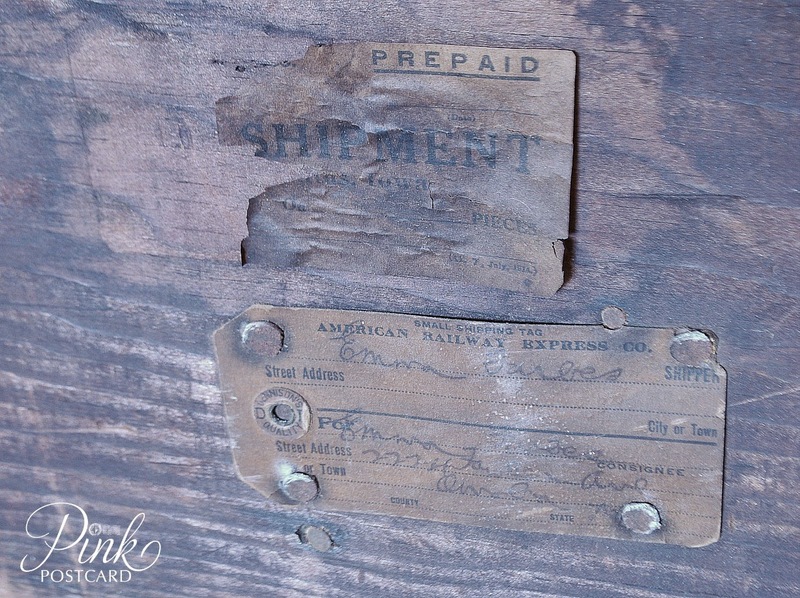 Original shipping tags still attached on the back of the dresser. 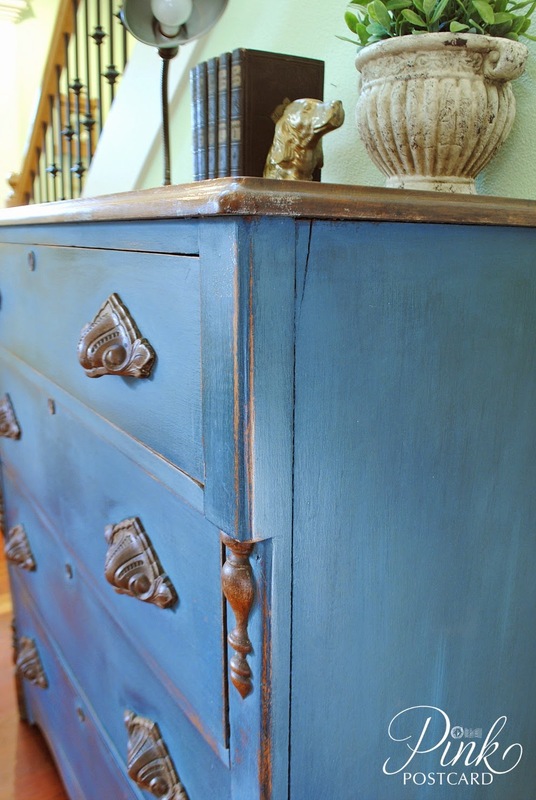 Miss Emma had this gorgeous dresser shipped to Omaha somewhere in time. I don't know about you, but I love to daydream about what was happening in history with Miss Emma and her dresser. Was it a big move? Was she a new bride? I'm just glad that this dresser will begin a new history with someone soon. It's amazing to think about where this has been and all the times it has been loved by different families, and all the hands that have touched it. So gorgeous! I can see why you are LOVE! I would be too! The details are incredible. Love it and all that you do! It would stay with me for sure!